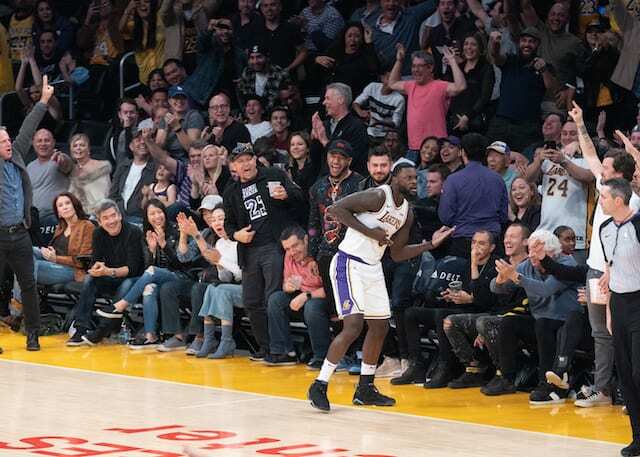 It was a night in which everyone seemingly had a moment and in the end, the Los Angeles Lakers got their second consecutive win during the 2018-19 NBA season. Kentavious Caldwell-Pope led the team with 29 points, LeBron James finished with an easy 23 points and 14 assists, and JaVale McGee added another double-double with 20 points, 15 rebounds, and four blocks as the Lakers defeated the Washington Wizards, 124-106. 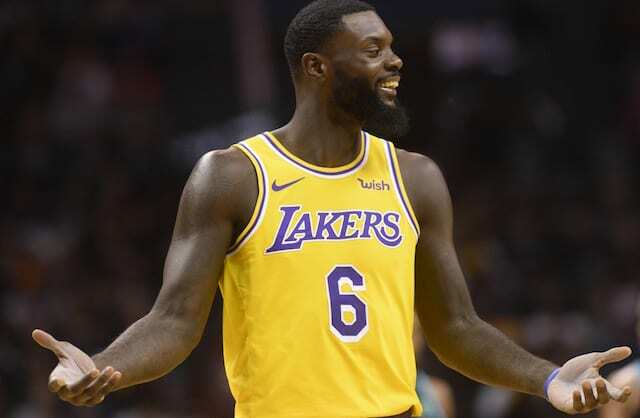 Caldwell-Pope got the Lakers off to a great start with seven early points and knocked down six three-pointers on the night, but it was Lance Stephenson who had the entire world buzzing at the end of the first. Stephenson sent Jeff Green stumbling with a quick dribble move before knocking down the jumper. The Lakers bench went absolutely berserk at the move as did the crowd which exploded after the made jumper. Of course, Stephenson himself celebrated with a dance move that only he could pull off. James would get in on the fun with a huge dunk in transition and a shimmy in the second quarter as the Lakers went into the break with an 11-point lead. Things never got too close in the second half as the Lakers were able to consistently get out in transition for easy buckets and used excellent ball movement in the half court. Overall, the team finished with 37 assists on the night. Bradley Beal did all he could to keep the Wizards close with 32 points and Jabari Parker added 18 off the bench, but the Wizards just didn’t have enough to keep up. Kyle Kuzma struggled shooting, but still added 15 points while Moe Wagner had 11 off the bench and Stephenson provided an all-around showing with seven points, 10 rebounds, and five assists. With the game put away in the fourth, Scott Machado checked in late and was able to get a bucket plus the foul, his first regular season points in a Lakers uniform and first in the NBA since 2013. Next up for the Lakers is a quick turnaround as they travel to face the Utah Jazz on the second night of a back-to-back.